Hi There! I’m Dave Jordan. 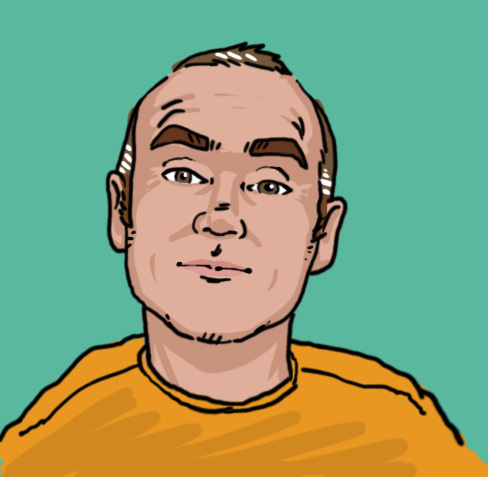 I’m a freelance illustrator and animator based in Kent, UK. I have been freelancing for over 20 years, in all sorts of weird and wonderful ways: for publications; small and large companies; local authorities; private commissions; design agencies and so on. Though much of my archive of work was destroyed, and due to contractual reasons some of my more recent work can’t be reproduced here, you should find this selection of both new and old work fairly representative of my styles. If you are after a particular style, I am more than happy to discuss demonstrative pieces, or show you some recent work. Why not visit the Keep In Touch page to get hold of me. Dave, I checked out your website, you are a very talented lad. I love your cartoon style and admire someone who has the ability to draw characatures that leave no doubt to who they are supposed to be.